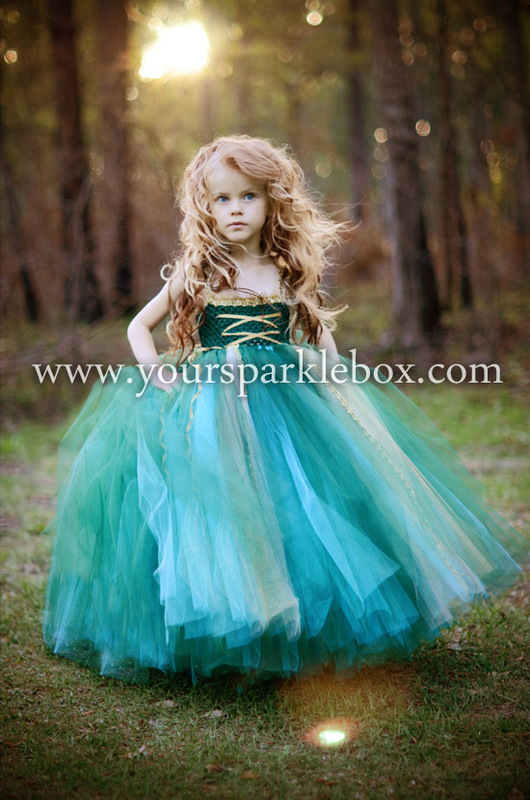 Merida is the newest princess to be added to the Princess Collection! 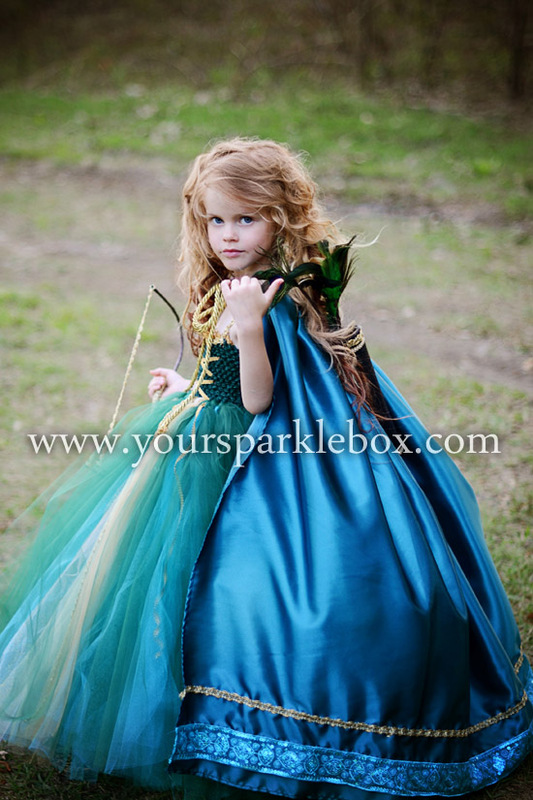 Her dress is made with the highest quality hunter green and turquoise tulle, with beautiful golden accents on the bodice. The matching cape is available as an option in the menu below.Â It is made from soft bridal satin and decorative trims like a real princess cloak! 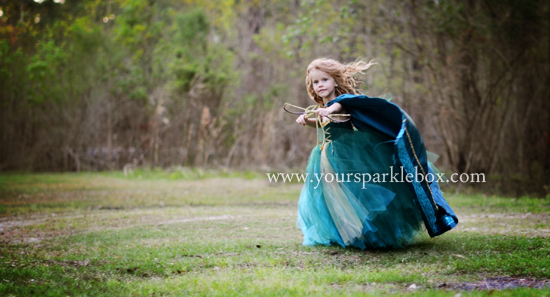 Bow, arrows and quiver are not included.